4. Beware of cross-reference overload. The nature of word study done properly is that you will end up chasing a lot of texts in their contexts to make sense of the author’s use of the particular term. The danger is that when you preach you give people a quick dose of cross-referencing that is simply too much to bear. You had time to pause and think about each one. But if you fire them out like a machine gun, your listeners will have the tendency to be overwhelmed by other passages and stop engaging. Alternatively they will try to follow and get bogged down in the process. Or they will think that Bible study is about rapid cross-referencing without looking at texts in context. None of these are good. Better to keep hearts and minds in one passage as much as possible. Venture outside of your preaching text on purpose and carefully. Make sure you bring everyone back in with you. 5. Don’t fall into the etymological fallacy. The process suggested this week shouldn’t lead you into this arena, but I know some reference resources will. The word the writer uses here comes from two terms – butter and fly. Butter is a dairy product made with churned milk. Fly is the term used for pesky insects like bluebottles. Interesting, isn’t it? The butterfly is a creature that . . . well, that has nothing to do with butter or fly. The key issue in word study is how the term is being used at that time, and ideally, by that writer. Where it came from typically isn’t a key issue. 6. Pursue whole passage clarity. This is the goal. Do your best in your passage study to make sense of the passage. Then do your best in the message preparation to make the message clear. That is a big goal not easily achieved. Words are little things, but the ones in the Bible are critically important. God inspired them. All of them. Thanks for these great reminder posts and the ones today especially!!! I especially liked number 6 today, whole passage clarity. While all of us long for this clarity in our preaching, word toward this goal, it can be tough to achieve. 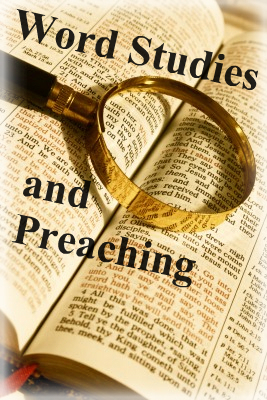 It seems that some there can be various reasons that we who preach might fall into these traps. We may be attempting to fill the expected time allotment or use all our exegetical data to wow those who want more information to fill their religious data base. It is like taking a person to the Grand Canyon or some other great site but instead of standing in awe of the panoramic view we gather our little group around a particular fossilized shell in the rock and miss the big picture. It may be important for them to see the particulars but we must take them into the grand narrative to see the God who is the author of all of it. Thanks again for the great reminder Peter.